Simple featured Cameron McKinney on saxophone. A portion of the jam segment from this long (nearly 45 minutes), experimental Tweezer appeared on A Live One as Montana. Trey teased I'm a Man (Spencer Davis Group) in Tweezer prior to the Digital Delay Loop Jam. Trey sang the verses of Fee through a megaphone. This gig was originally scheduled for MSU’s Shroyer Gym (capacity 1,800), and was later moved to the larger Field House (capacity 8,500). After Tahoe, I went back and listened to all the long Tweezers. It was almost comical how handily this one smoked the rest. It almost doesn't feel like a 1994 jam because its so coherent and cohesive, each segment spilling logically into the next even if the departure is pretty massive. There are two seperate Page solos, a Cactus solo, a DDLJ, and my favorite part, a full blown Tweezer Reprise jam without the words to out about 35 exclamation points on it. (Pre?) Reminiscent of the Weekapaug jam in the Worcester Jim, the Back At The Chicken Shack jam in the Dicks Light and Frampton jam in the Tahoe Tweezer, an uplifting crescendo of emotion delivered via recognizable thematic jamming. This is 10/10. The only Tweezers that get me going as well are 12/2/95 and Tahoe, but neither of them can match this. If there is a jam that deserves the title "masterpiece", the Bozeman Tweezer would be it. What an incredible piece of improvisation! It's not perfect, repeated listens will bring to light little bits and pieces that you might not particularly care for--little anomalies in their interactions that don't create a wholly satisfying result--but we must remember: this composition (that is, improvisation) was composed on the spot in real time, there were no second chances. And with that in mind, this thing is just damn incredible. 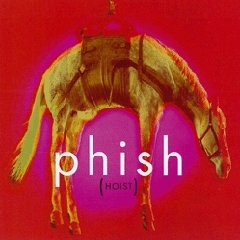 I can't think of another 40+ minute Phish jam that creates such a fully realized whole. This jam doesn't once start to wander; it remains focused and poignant for its entire duration. Trey and Page both take unaccompanied solos and Mike and Fish have a nice little groove section together (the part that "Montana" on A Live One is taken from). The jam following the Digital Delay Look Jam is very spooky and my favorite portion of this monster. The rest of the show, at least what circulates, is good too. It's unfortunate that the whole show isn't available, but at least the second set is intact. I'm sure that the parts of the first set that don't circulate are good though... after all, it is Fall '94. Who knows, maybe this lost Stash is 7.8's rival. If that were the case, I'd say we have a strong contender for show of the year right here. Though, I do have to say, the saxophone player on Simple is just weird. I'm not really sure what was going on, but he just makes some weird noises for a little bit, then Trey starts up Divided Sky. At least it doesn't last very long because it goes absolutely nowhere. But worry not, a very strong Divided Sky to follow wipes the unpleasant taste from your mouth. A very strong show anchored by one of the best, and most overlooked, pre '97 jams. This second set, or really (who am I kidding) the Tweezer, is must hear. I was at this show... and it remains a fantastic memory of my first time west of the rockies going to school at University of Montana. My new found friends and I drove the 3 hour ride to Bozeman in the bitter cold and snow.. all took acid.. and went on in..
What happened in the gymnasium was ecstatic.. My first shock was that we were in a Gym.. on basketball courts.. with risers on the sides.. we were asking ourselves are we in the right place? This was Phish's first time in Montana.. and everyone knew this.. so there was excited anticipation. I noticed people reviewing about some terrible sax solo going on during the second set.. I can say that this is because the sax player was about 10 years old.. Trey knew him.. I think they were either related or he had an old gf who's child it was. They brought him on stage and introduced him to the crowd.. it was awesome for him.. but obviously not near the caliber of professional musicians so we have to go easy on the little guy! This is one fact of why this show in particular was one of those "you just had to be there" shows. As with the other reviews.. The Tweezer(s) are incredible.. and I remember vividly getting down so hard with my 19 year old body in sheer amazement as to how incredible the improvisation was and how hard their music could make me dance. The good acid we took for this experience only enhanced the feel throughout the body.. I put the trip I took during this show as tops for musical body/mind connection. I hope I revisit the peak of Tweezer with how I felt in that moment during my walk into heaven reliving my life when I die.. definitely highlight. To have a short excerpt of the Tweezer jam on their next live album (A live one) I think was a tip of the cap to their own performance as it must have been memorable for them as well. When a band really connects effortlessly on stage only to find themselves in "the zone" together completely in control of their next move and the crowd feeds off it.. I can only imagine the shared bliss they must have felt left them wanting to get the recording out there in some fashion. To think that there is a master tape out there in their vaults is such a little frustrating, but at least we have the second set to download! 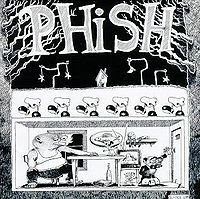 I'm forever thankful to have experienced this show the way I did.. and with the new friends I had met as well.. some of which I know would love to read this and remember the trip we shared in Montana with the boys from Phish.. Unfortunately everything not mentioned in the set 1 review/description is not on the spreadsheet AUD. SOAMule – As always, during the slowdown Page gets insanely quick and chaotic on the keys. The guitar/piano duel seems a bit short-winded to me, but it’s satisfying overall. Guyute – Standard Guyute of course. There’s nothing to complain about. Sparkle – This is a 1994 song at its core. Laugh and laughing fall apart! Simple – The type of Simple jam you would expect to hear, but it’s done quite well. It does change pace quite abruptly due to Trey bringing out Cameron McKinney. Post-introduction it does get quite fun to listen to. The saxophone almost sounds like a joke on top of the “serious” jam being played in the background. Although the seriousness is also a joke as Fish is yelling in praise of the obviously dismal saxophone. Divided Sky – Good rendition of Divided Sky. Suzy – A solid, standard Suzy. NICU – Again, a standard rendition of a solid song. Tweezer – Awe-inspiring polymorphous jam with a digital delay loop jam in the middle. 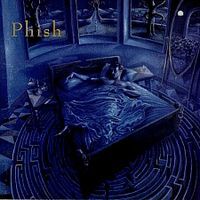 An expansive and indeed “epic Tweezer”, this one goes places that 1994 Phish didn’t go too often. It often times is fast-paced, thrilling and rocking, while at other times is reserved, dark and even a bit creepy. Anyone who likes Phish enough to be on the .net should check this one out. It actually takes my breath away during some segments while at other times my knuckles go white waiting for a climax which may or may never come. Phish at the top of their game right here. Sleeping Monkey – A breath of fresh air after a captivating, seemingly bottomless Tweezer. 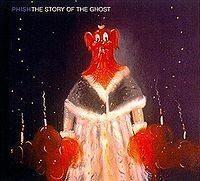 For all the jamming Phish does, it is necessary to take a step back and be goofy. 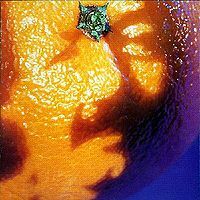 Julius – This and the other songs in set II do a good job of being type I in order to leave Tweezer standing as its own, a work of art. Julius, and the other set II songs, is like a bookend. The first set is a bit hard to review, but the lack of songs in the AUD isn’t too big of a distress; this show is about the Tweezer. The one highlight of the first set I can pick out is simple, even though it’s disappointing they didn’t explore the jam further. The second set - I said all I can say in my summary of Tweezer. My rating – 4/5. 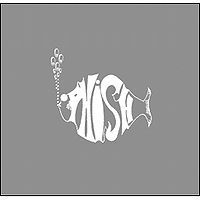 Tweezer earns the 4, with the rest serving as filler (Phish filler > other fillers).